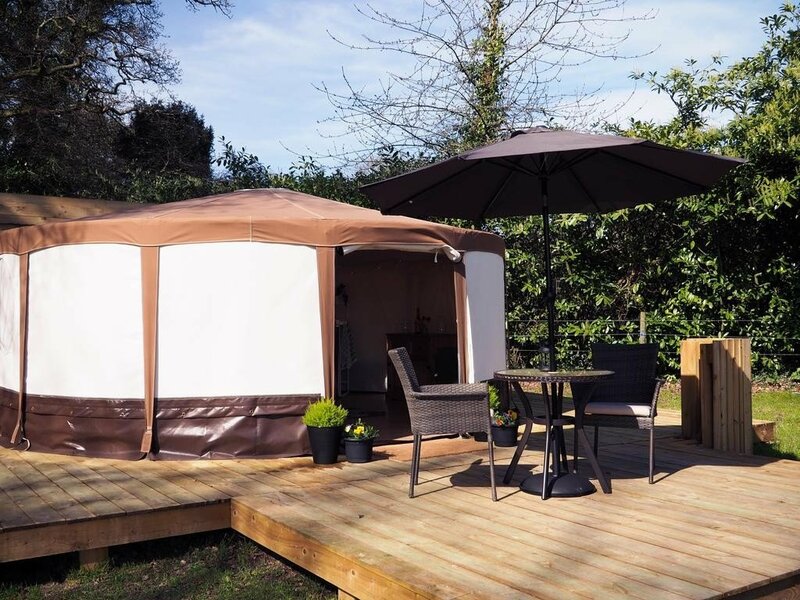 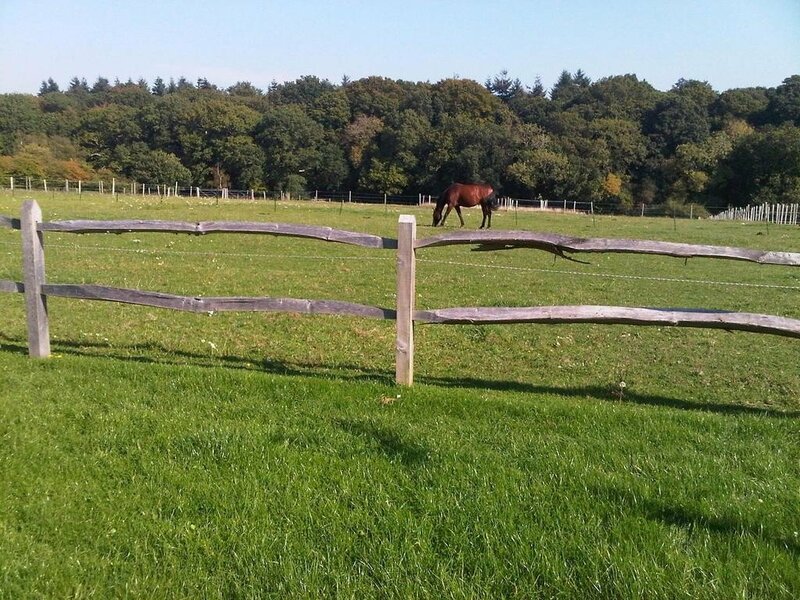 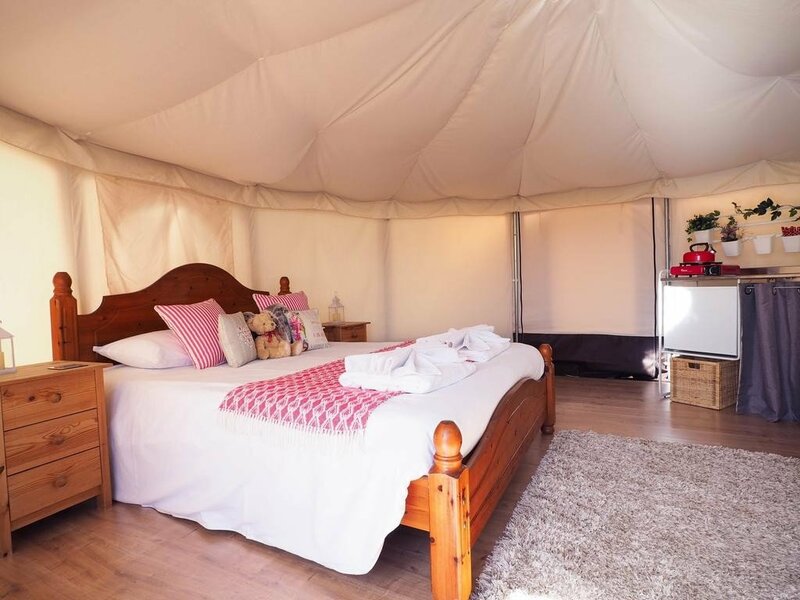 Near Emsworth, Hampshire, and close to the cities of Chichester and Portsmouth, this friendly, welcoming farm stay has luxury glamping huts on its 16 acre farm that keeps a number of horses and free range hens. 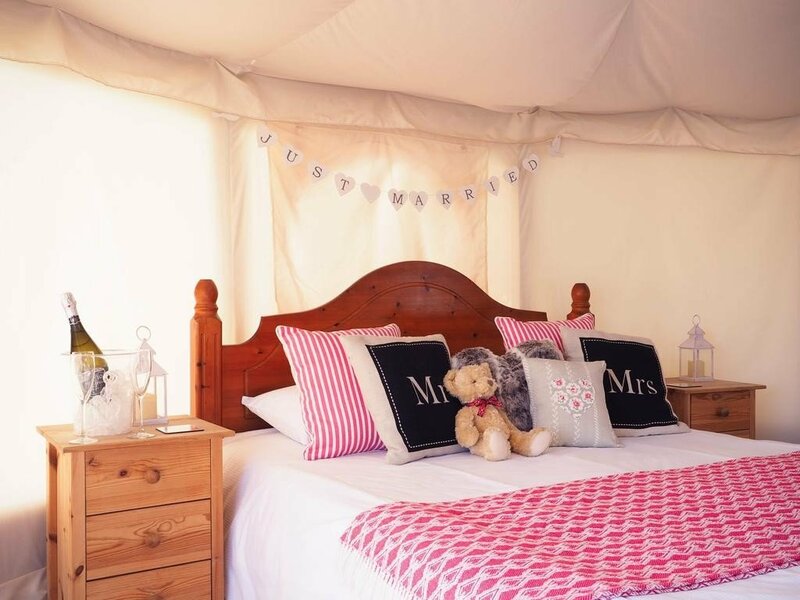 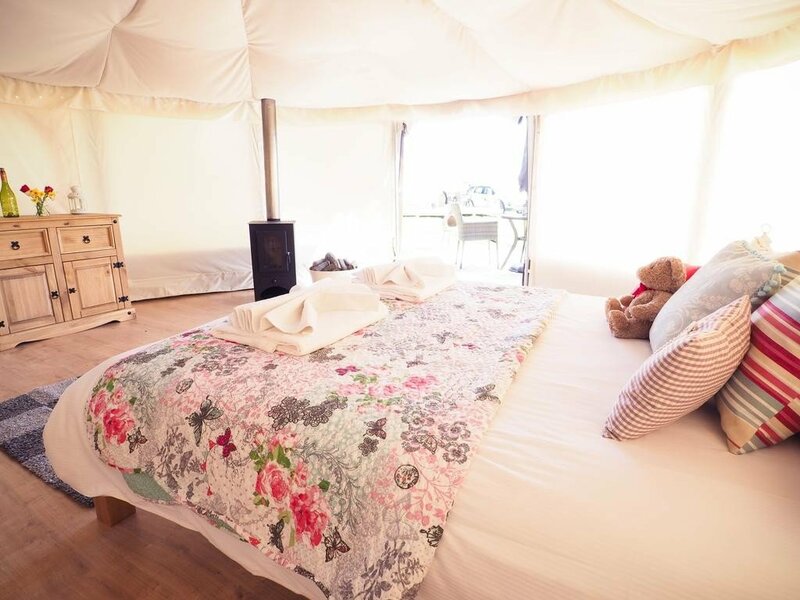 The glamping tents are in the form of yurts, or what some may possibly describe as teepee style. 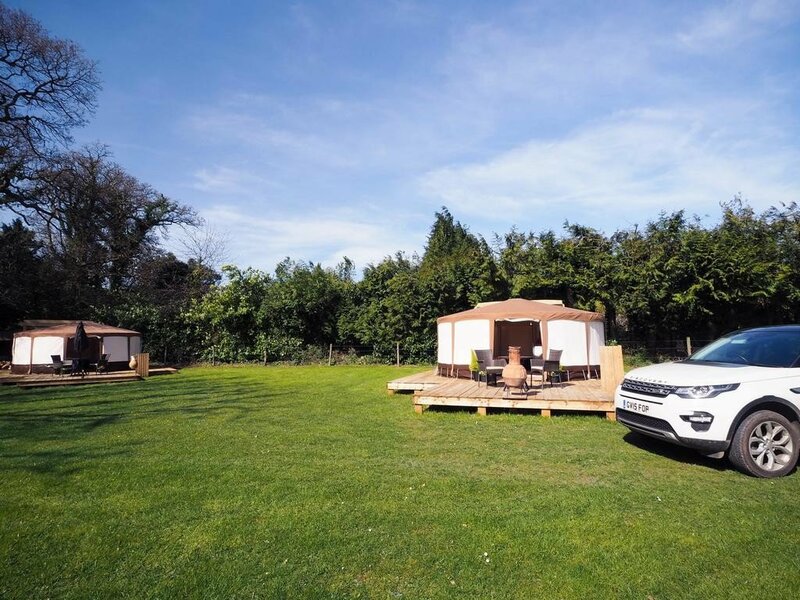 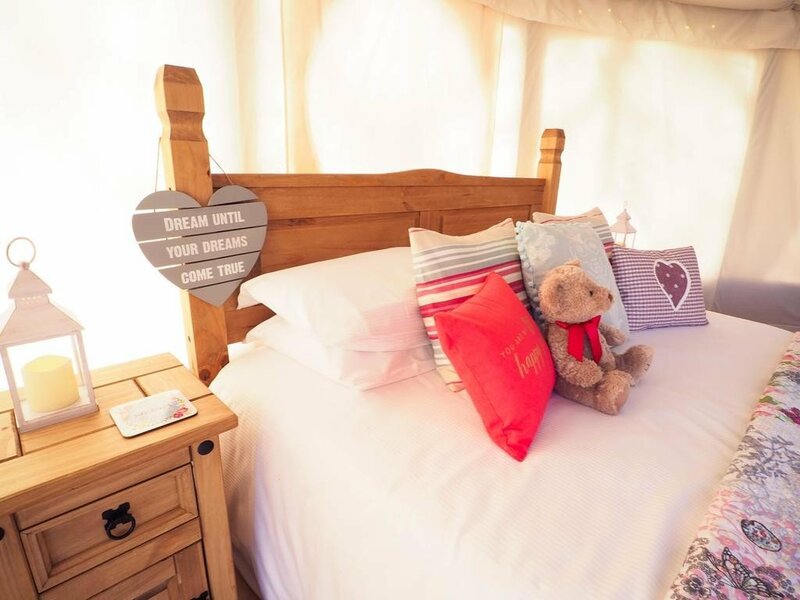 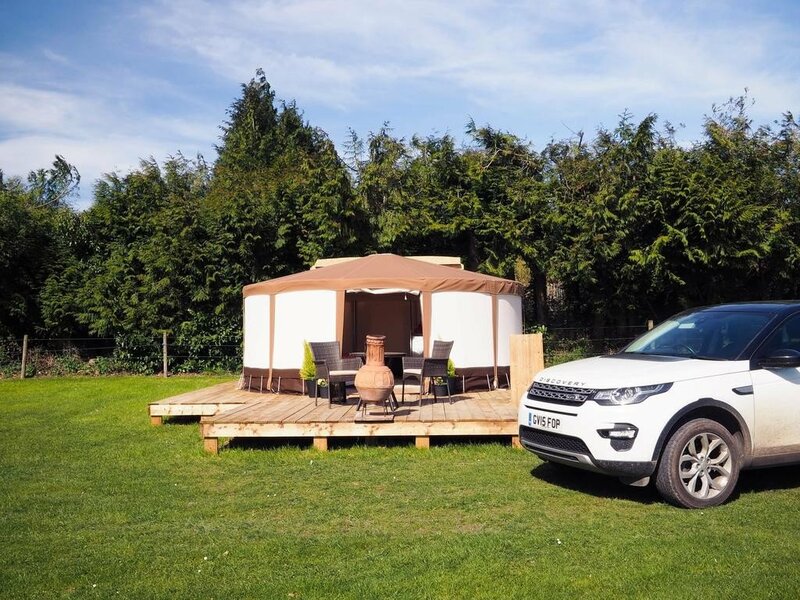 They come with a king size bed and plenty of space both inside and out where you’ll find a nice private decking area with seating and a gas powered barbecue. 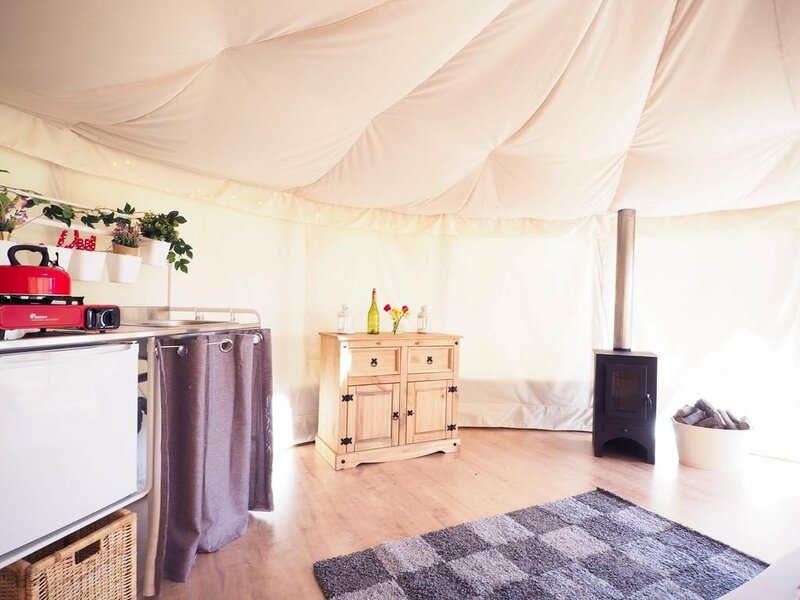 Inside the yurt there is also a seating/dining area, a mini ‘pop up’ kitchen, wood burning stove, en-suite bathroom and WiFi. 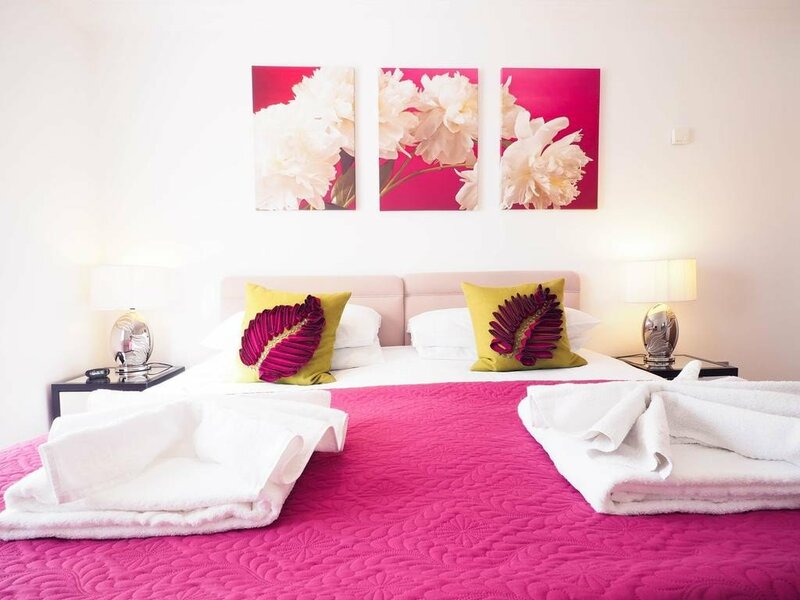 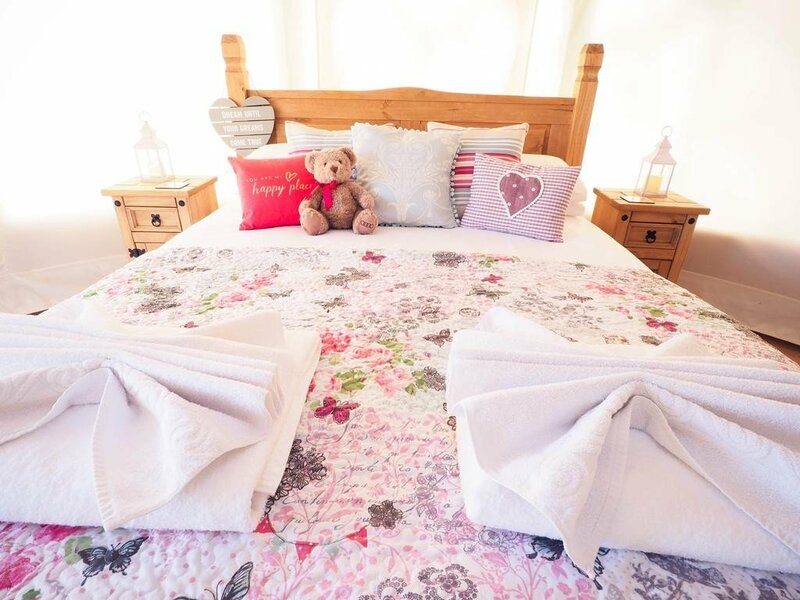 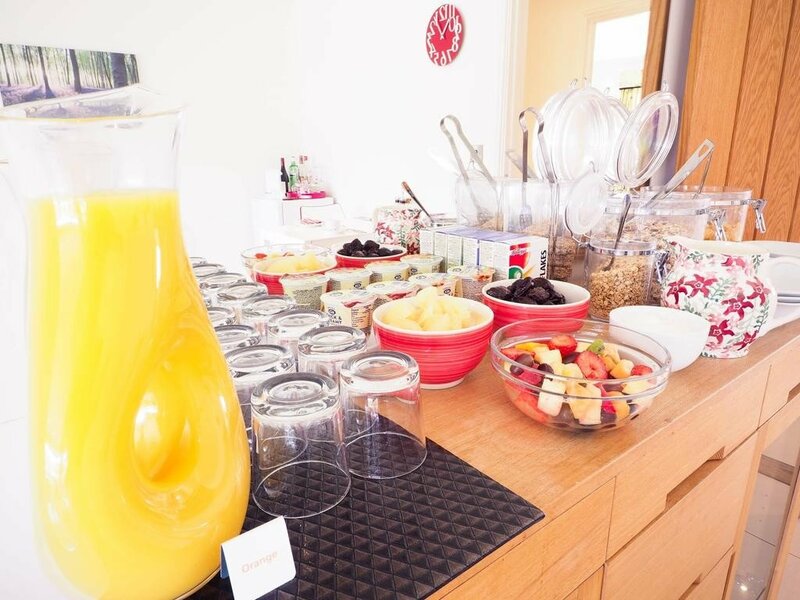 The accommodation is self catering but the friendly owners can provide you with breakfast and dinner hampers as required. 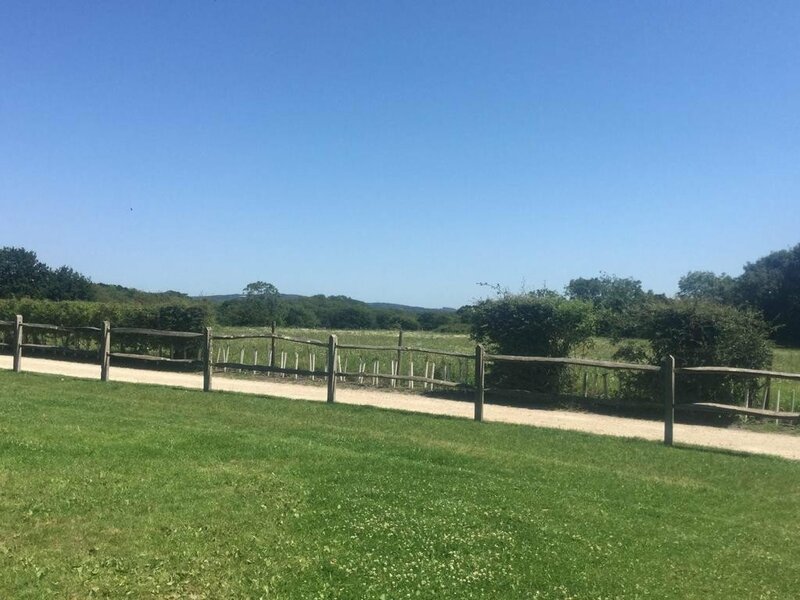 The farm is in the south east of Hampshire, near the town of Emsworth, a lively market town and a popular venue for sailing, with plenty of cafes, pubs, shops and restaurants. 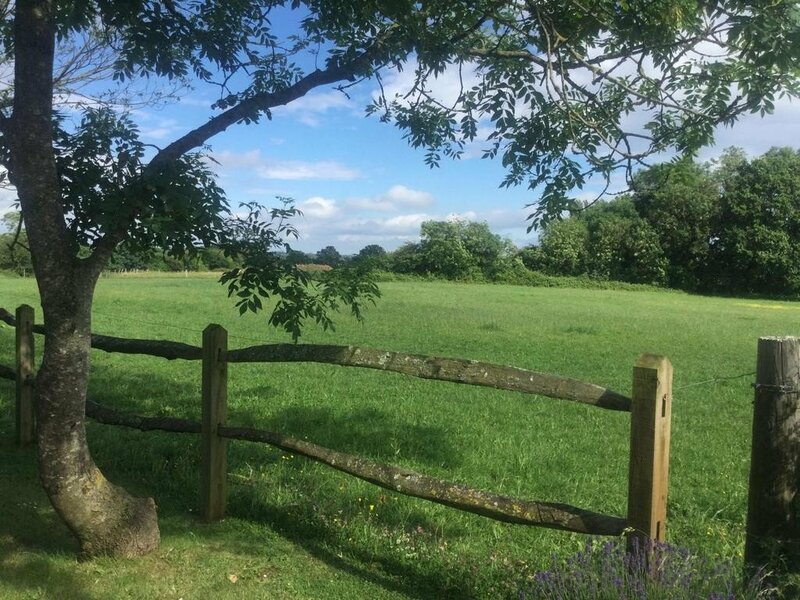 Wildlife spotters and bird watchers might enjoy a day out at nearby Brook Meadow, a wildlife conservation area with 5 acres of grassland and two small rivers surrounded by woods. 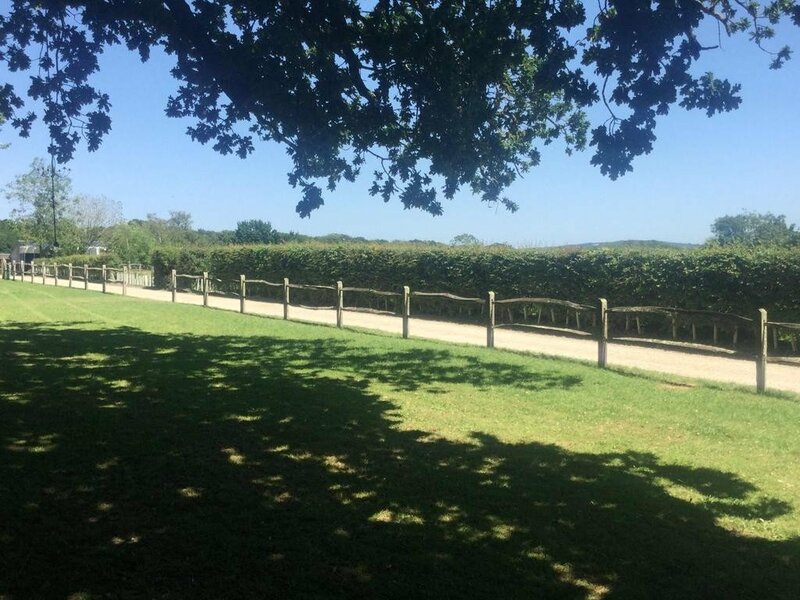 The city of Chichester in West Sussex with its 12th century cathedral is just over ten miles away, and around the same distance is the city of Portsmouth. 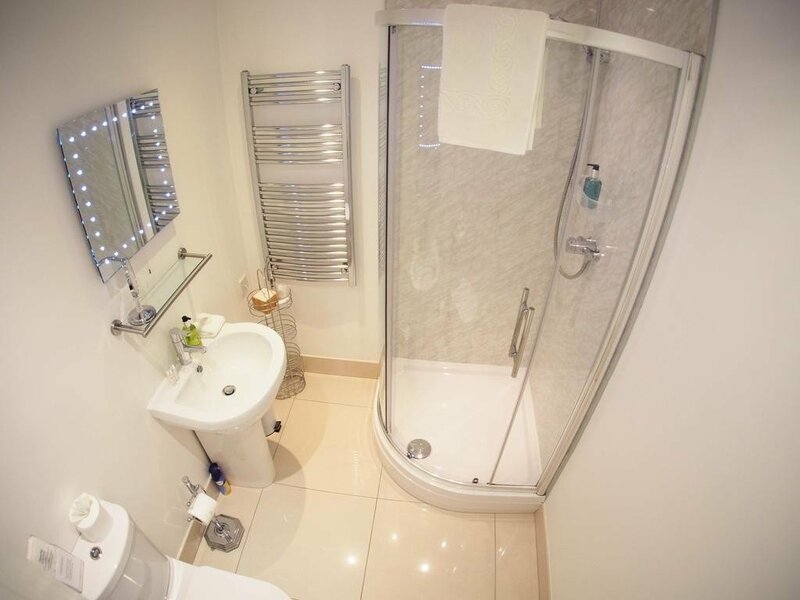 London is about an hour away depending on the traffic and there are also numerous trains running from London and Portsmouth to Emsworth station. 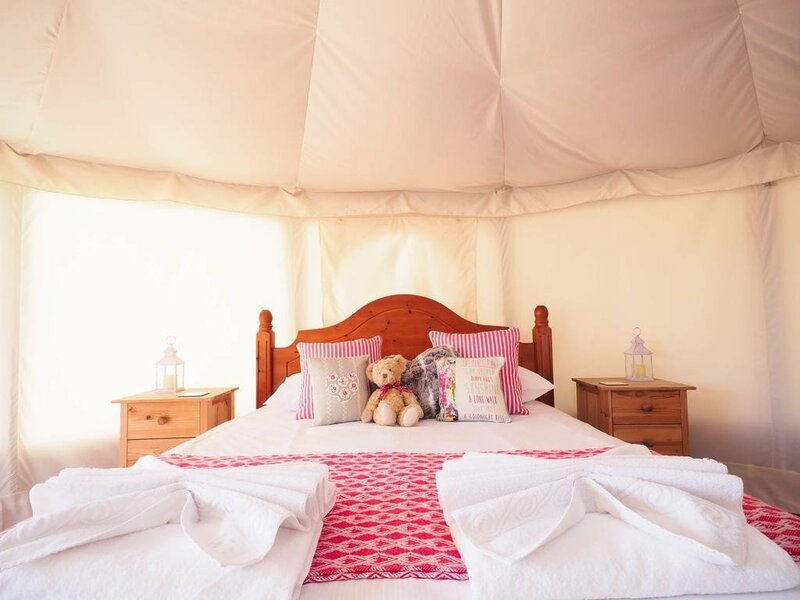 Note: Only children over the age of 5 are allowed. 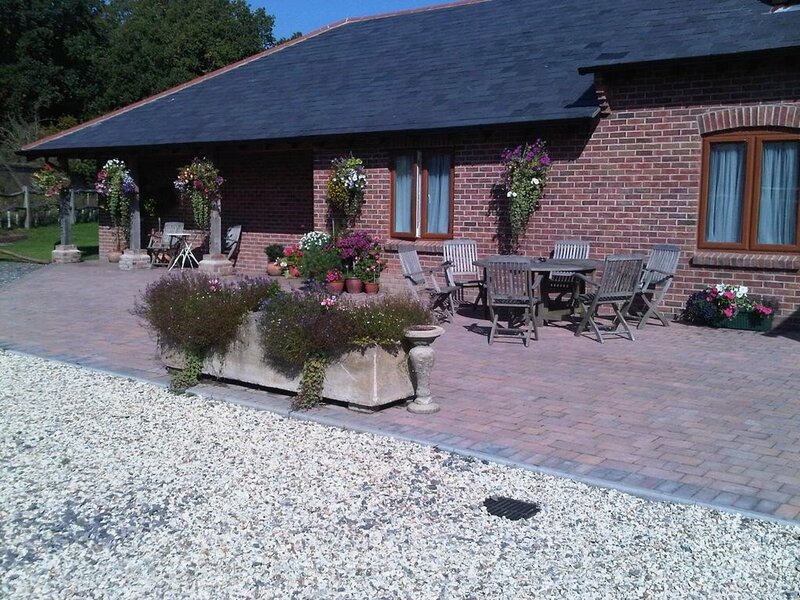 The Old Dairy Farmhouse B&B rooms.